Ammon Smith of Salt Lake City, Utah knows how to throw down for Halloween. 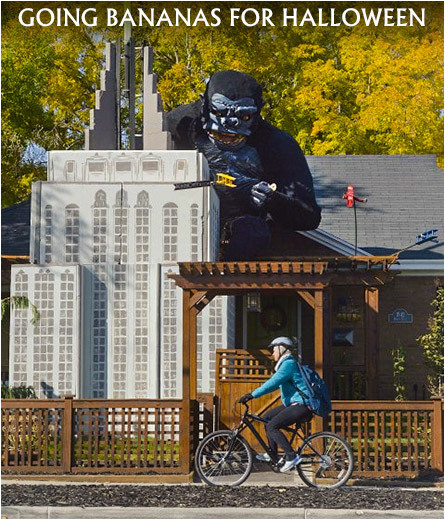 This year he built — using wooden boxes, chicken wire, trash bags, black fabric and pool noodles (I don’t know what those are, but they sound cool) and paint — to create a massive King Kong Halloween display in his front yard. No word on whether or not he’s handing out screaming citizens instead of candy. 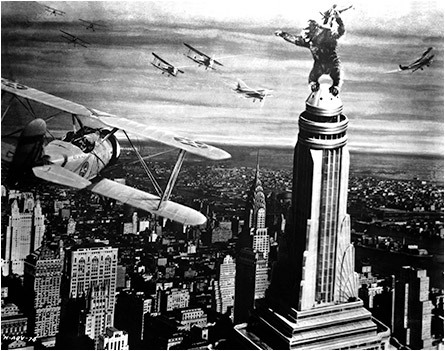 With “Kong” clutching a Barbie doll and battling bi-planes, clearly, we all want Ammon, a 33 year-old woodworker, to live in our neighborhood. According to the Salt Lake Tribune, it took Ammon 80 to 100 hours to complete the ultimate Halloween yard decoration. That’s about how many hours a week I lay around watching monster movies. Just think of what I could create for my yard on Halloween if I got off my unmotivated booty instead of turning my couch into a Jell-O™ mold of my entire body. (The comfortable sitting device kinda looks like a pod from Invasion of the Body Snatchers/1956). 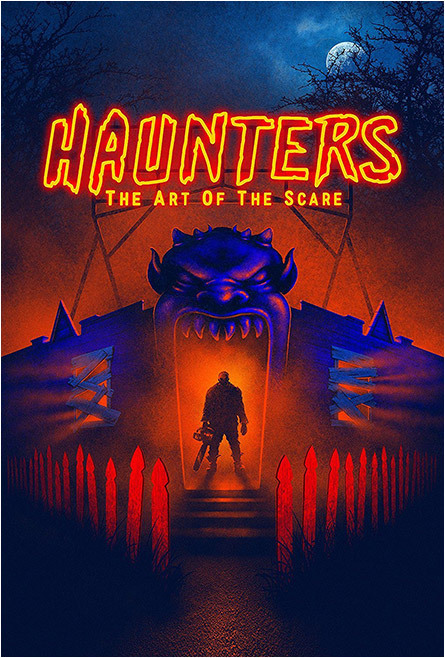 Fun stuff, although I’m partial to real haunted houses with real ghosts, mostly because you don’t have to pay to get in. That, and there’s something kinda liberating to soil one’s britches in public after having the groceries scared outta you. Okay, I probably said too much. If you saw Meatball Machine (2005), let’s just hope you’re not a vegetarian, otherwise this hyper-gory sequel might make you decorate your Old Navy™ shirt with recycled beef stroganoff. 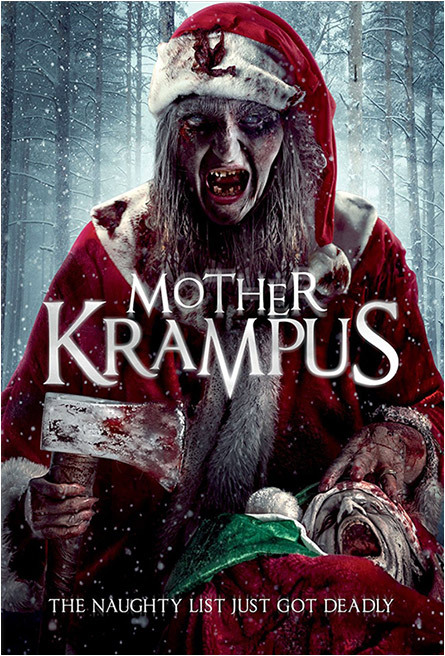 A woman Krampus. Seems kinda redundant as lots of women (and me) turn into “monsters” when they get “crampuses” during certain periods (sorry) of their life. 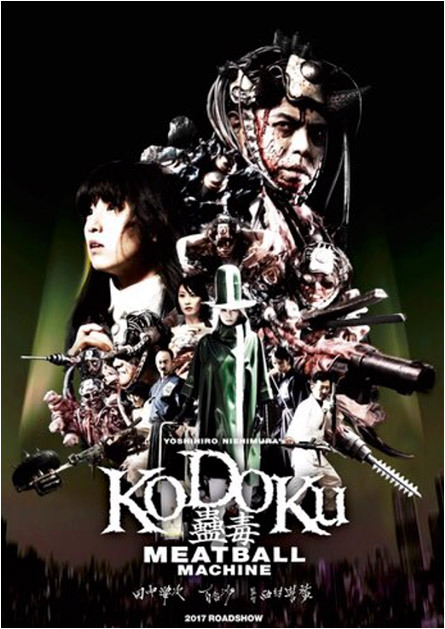 As for the plot, all they did was switch out the old woman (example: see Darkness Falls/2003 with the “tooth fairy” coming back for revenge) and let hilarity ensue. Just when you think no one can come up with a snappy horror movie name. 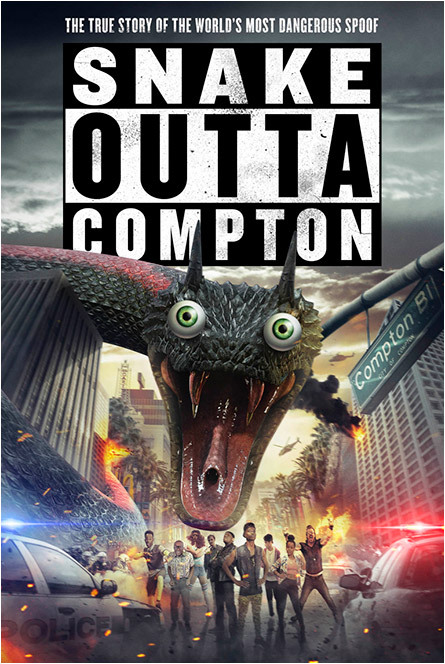 Snake Outta Compton might very well get title of the year. I just hope rap icon/legend Ice Cube makes a cameo.